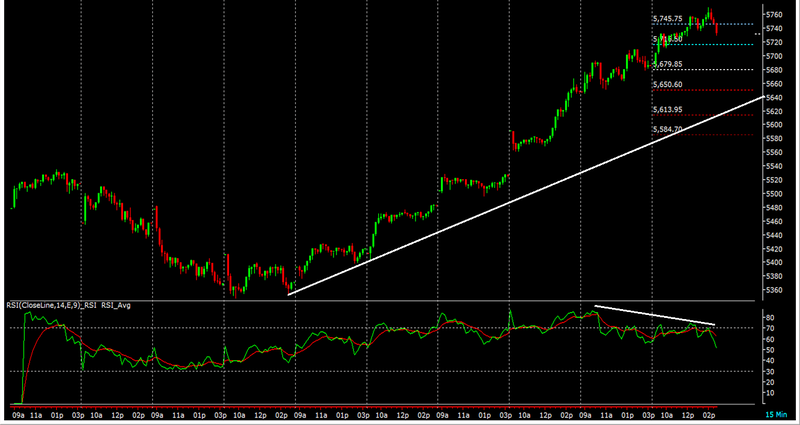 Nifty Intraday Chart: Nifty is moving well along the positive trendline right from morning session. One can hold long in nifty for the night as overnight position. On the intraday chart we can see some correction before nifty can move forward.